When it comes to nomenclatures, Ferrari has come to be plain and straight forward. After the weirdly named Ferrari TheFerrari, (because it is the distinctive definition of a Ferrari sports car), now comes the Ferrari 812 Superfast. Well the 812 Superfast is not just a hyperbole, the car is what the name suggests; a super fast car. The 8 in the 812 is because it produces a massive 800 PS power and the 12 is, well, for the V12 engine that produces that 800 PS power. 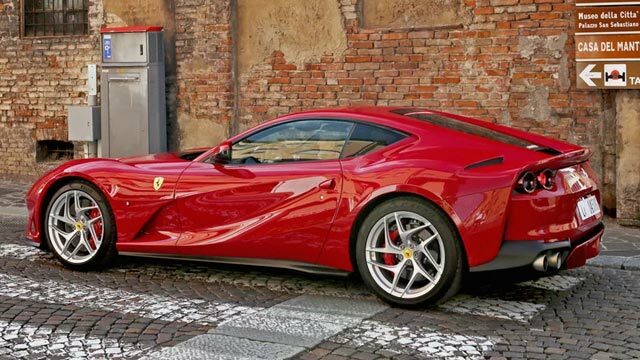 Ferrari 812 Superfast is the fastest production Ferrari ever. The car first made its debut at the Geneva Motor Show in 2017. This sports car is a Grand Tourer, which means it offers luxury with a super fast speed and is also perfect for long road trips. 812 is the successor to the highly acclaimed F12 Berlinetta, which received a number of awards for its beauty, design and engine. The F12 also received the awards for being the Best Supercar for the years 2012, 2013 and 2014 by major car magazines such as GQ, Topgear and EVO. Needless to say, the 812 Superfast has some very big shoes to fill. The 812 Superfast is inspired by the F12 Berlinetta, so what exactly are the changes. The car’s layout remains the same front mid-engine, rear wheel drive but the 812 offers the World’s most powerful naturally aspirated V12 production car engine ever made. 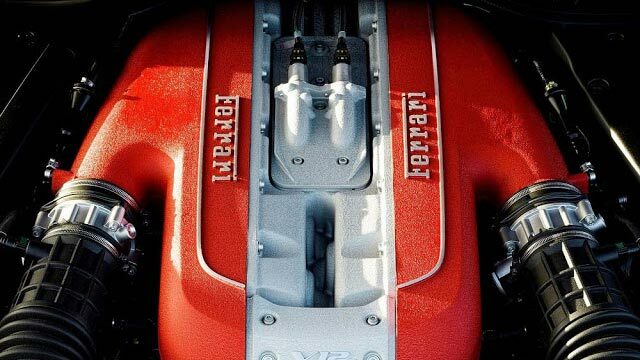 The boisterous 6.5L V12 engine of Superfast is larger and offers extra 60hp than the F12’s 6.3L V12. The engine produces a whooping 800 PS (789 bhp) at 8,500 rpm and a massive 718 N.m of torque at 7,000 rpm. If you’re driving down the sunny California road be sure to have a California DUI Lawyer’s contact, because you’ll be needing it with this intoxicating speed freak. The Ferrari 812 Superfast features a 7 Speed transaxle dual clutch F1 gearbox. The Superfast gets its super fast speed from the new 6 percent shorter gear ratios that gives an additional thrust and increased power to the ride. The Ferrari 812 Superfast exhibits aesthetically elegant 20-inch wheels. The tires used are special manufactured for supercars Pirelli P-Zeros. The Brembo Extreme Design carbon-ceramic disc brakes are claimed by Ferrari to be 5.8% more efficient than the F12 and give improved braking performance. The 812 Superfast’s chassis has a bevy of electronic controls. The supercar features an arsenal of futuristic tech such as PCV (electronic rear axle steering), ESC (electronic stability control), F1-Trac (F1 traction control), E-Diff 3 (3rd generation of electronic differential) and SCM-E (Magnetorheological suspension control system) with dual coil. The most appealing feature is the EPS (Electronic Power Steering), this is first Ferrari to have an electronic power steering. All these techs are unified and communicate with engine software and the EPS to fully exploit the potential of the car. 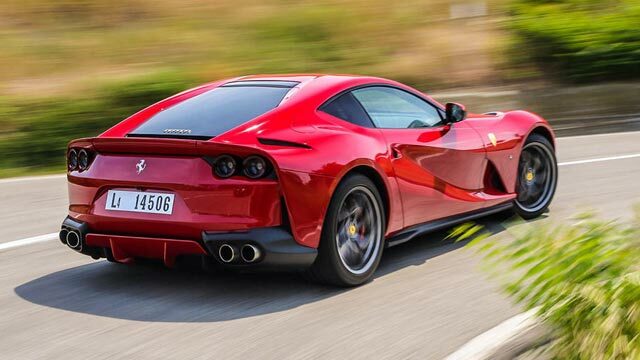 The 812 Superfast has claimed the acceleration time of 0-62 mph (0-100 km/h) in just 2.9 seconds. The car can go up to 211 mph (340 km/h). Traffic ticket fixers Los Angeles would be needed with these benchmarks and unprecedented acceleration, you’re sure to get loads of speeding tickets.